Nuclear Industry content publication and distribution service. Publish content on Industry Today including images, videos and web links to direct our audience to specific pages of your website. Content published on Nuclear Industry Today will appear in Google News, be shared via the social networks as well as being distributed via RSS to subscribers that have opted to receive the updates from this portal. New Market Research Reports Title "Nuclear Robotics Market Revenue Opportunities and Various Manufacture Development Analysis by (2018-2025)" Has Been Added to Reportsandmarkets Report Database. The market Study is segmented by key regions which is accelerating the marketization. At present, the market is developing its presence and some of the key players from the complete study are GE, Philips, Siemens, Digirad, Mediso, MIE, DDD Diagnostic, Dilon Technologies, etc. Printed Electronics in Healthcare Market Report aims to define, describe, and forecast on the basis of Market size, share, types, overview, top key vendors. This research report provides analysis and information according to market segments such as geography, technology and application. 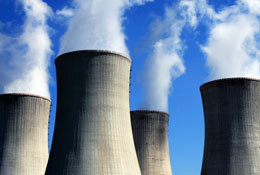 Get a view on Nuclear Decommissioning Services Market sales by marketing channels. Target important market by region and tap important dynamics of this industry.